The Xbox One definitely got a sales boost in November in at least a couple of key territories, thanks to a series of aggressive moves made by Microsoft (said moves being bundling, marketing, and almost vicious price drops)- and it appears that those players weren’t just content to buy the console and let it sit at home either. No, they actually appear to have played the thing. A lot. A new post by Xbox thanked users for logging in almost 8 million hours in the first week of December alone- a stupidly high amount. 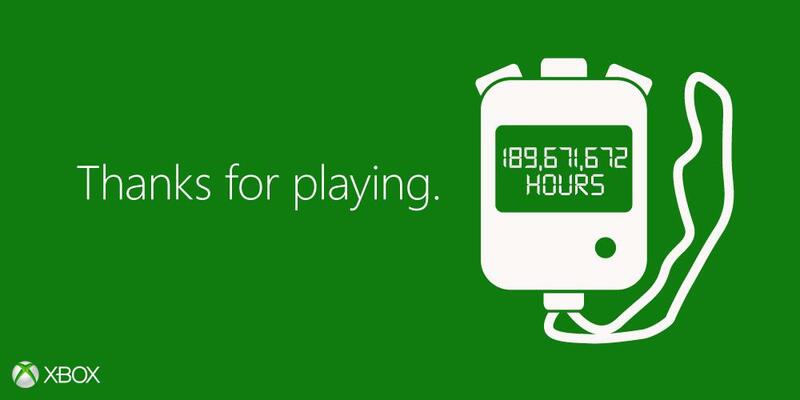 Of course, this isn’t necessarily playtime- any time spent logged into your Xbox Live account from your Xbox One console counts towards this tally. Still, it’s a very impressive number, and shows that the Xbox One audience is, at least for now, an engaged audience. Me, I’m just wondering how many of those millions of hours were spent waiting for a match in Halo: The Master Chief Collection. Or for a face to appear in Assassin’s Creed Unity.